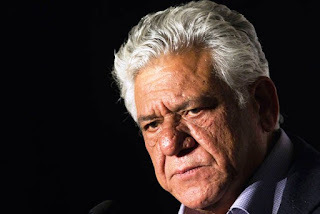 Om Puri was an actor of Indian origin, he appeared on British and American films. Om Puri had an estimated net worth of $20 million. Om Puri’s acting career spanned over 30 years. He featured in movies like London Dreams, West is West, The Reluctant Fundamentalist, Final, Charlie Wilson's War, The Hundred-Foot Journey, Don 2: The King is Back, Heartless, Aakrosh, Arohan, Sadgati, Tamas, Jaane Bhi Do Yaaro and Chachi 420. Om Puri was born in Ambala to a Punjabi family in October 1950 (age 66 years); his dad was a railway worker. He graduated from the Film and Television Institute of India, Pune and was an alumnus of National School of Drama. Om Puri’s debut movie was the 1976 Ghashiram Kotwai in which he once claimed that he was paid peanuts. 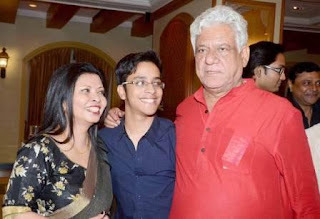 Om Puri married Seema Kapoor in 1991 but they divorced after eight months. She was a sister to actor Annu Kapoor. Puri moved on in 1993 marrying journalist Nandita Puri. Together they were blessed with a son, Ishaan Puri. She wrote a biography about him in 2009 called Unlikely Hero: The Story of Om Puri. Om Puri was angered by the fact the she included details of his previous relationship that he didn’t want in the public domain. In 2013 the two decided to separate. Best Actor Award at the Karlovy Vary International Film Festival in 1984. The Padma Shri Award in 1990.
Who Gets Om Puri's Money After Death? Om Prakesh Puri died of a heart attack at his residence in Mumbai on 6th January 2017. It will be interesting to see wether is high net worth or rather wealth will be transferred to his son. Will Nandita Puri also benefit from her late husband’s high net worth?